Pokemon Let’s Go Pikachu and Let’s Go Eevee is finally here, and one of the most common questions is about where to find or how to catch a certain Pokemon. In Pokemon Let’s Go, instead of getting the Kanto region starters, you’ll receive Pikachu or Eevee depending on what version you have. This is an interesting introduction, but as you move forward, you will eventually ask where to find the three starters – Charmander, Bulbasaur, and Squirtle. To help you get the first three starters, here is the easiest way to find and catch them. You can start collecting the three Kanto region starter Pokemon with Bulbasaur. To qualify for a free Bulbasaur, you need to have captured at least 30 random Pokemon. After you meet the minimum requirement, head to the Cerulean City and find the blue house near the Pokemon Center. Enter the house and interact with the lady. 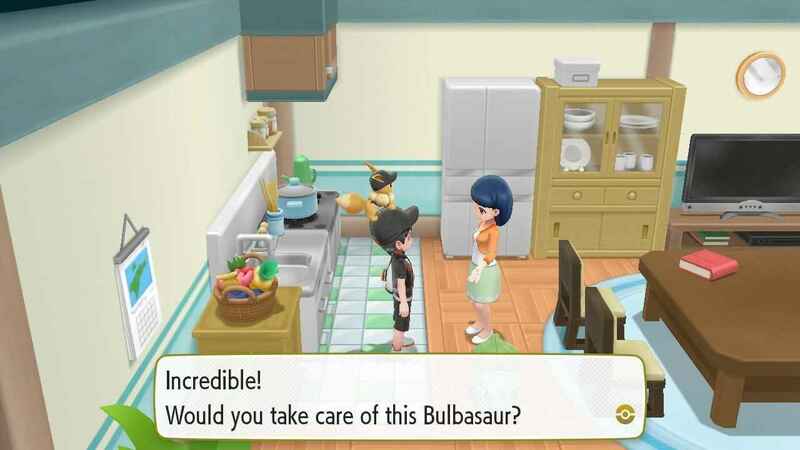 She will give you a free Bulbasaur during the conversation. As for Charmander, you need to have captured at least 50 Pokemon. Find the man wearing a blue shirt near the Nugget Bridge located at the northern part of Cerulean City. 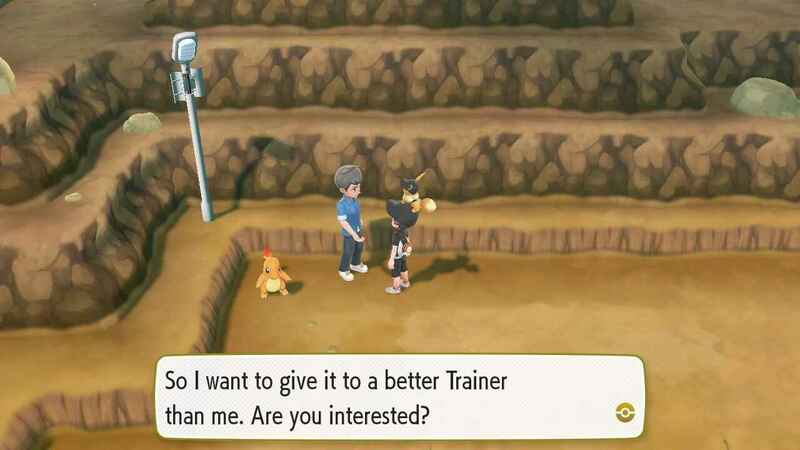 Talk to him, and he will give you Charmander for free. Squirtle has the highest captured Pokemon requirements. To get Squirtle for free, you need to have at least caught 60 Pokemon. 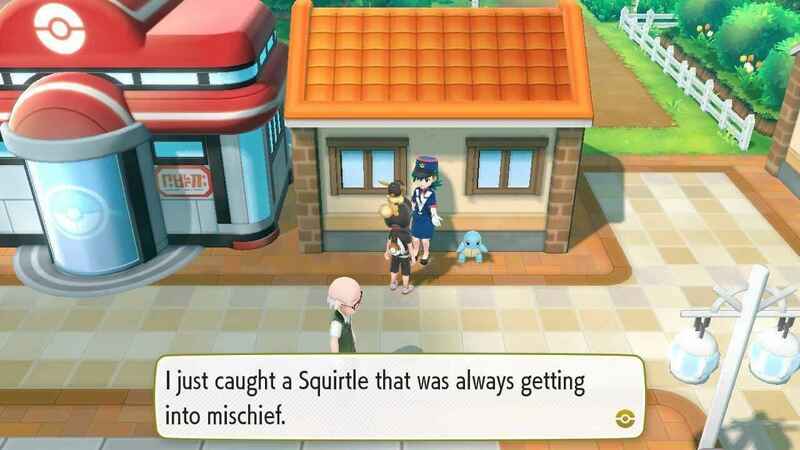 After reaching the requirement, head to Vermillion City and speak with Officer Jenny who is standing right next to Squirtle. Talk to her, and she will give you a free Squirtle at the end. I forgot to mention; the captured Pokemon requirements include the duplicate Pokemon. So if you meet a lot of Pidgey along the way, make sure to catch them as they are valuable to meet the minimum requirements. All the three starter Pokemon can be captured in the wild as they normally spawn there. However, finding one could be a little difficult compared to the method above. So, the choice is yours. And that’s it. If you’re looking for more Pokemon Let’s Go guides, tips, and tricks, make sure to visit this link.